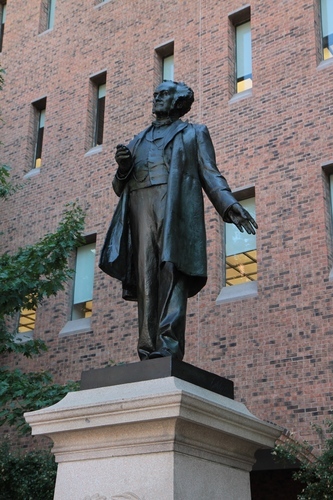 This bronze statue of Samuel David Gross can be seen in the square of the medical campus of Thomas Jefferson University in Philadelphia (1001 Locust Street). 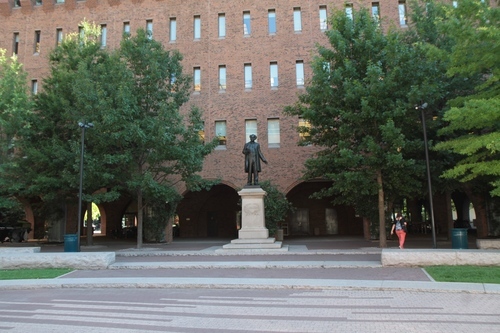 It was sculpted in 1897 by American sculptor Alexander Stirling Calder and was originally located in Sidney and Ethal Lubert Plaza. 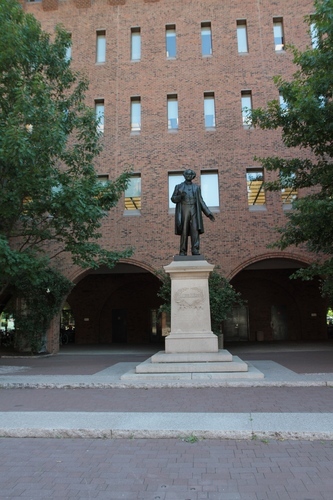 In 1970 the statue was moved to its current location1. 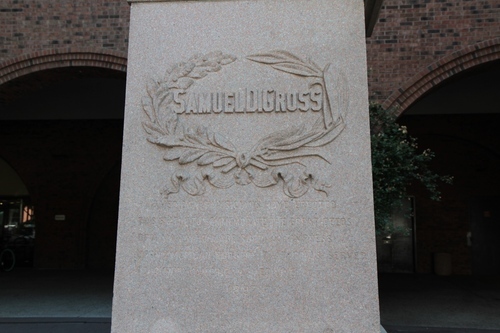 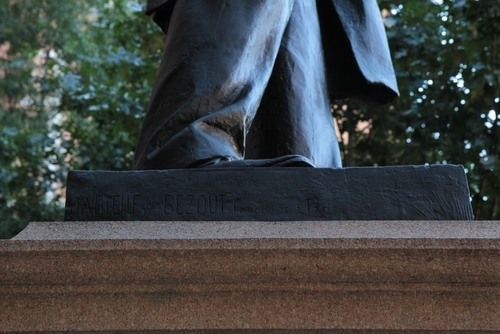 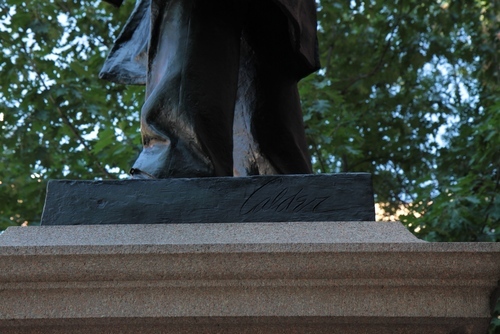 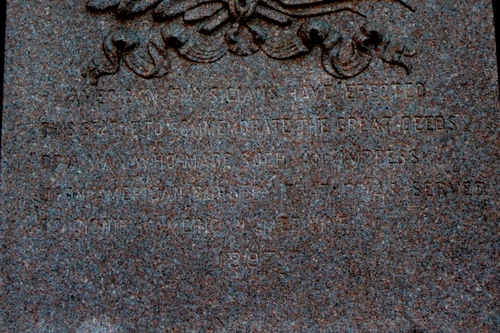 The inscription on the pedestal, under the name of the surgeon, is today almost illegible but it reads as follows: AMERICAN PHYSICIANS HAVE ERECTED / THIS STATUE TO COMMEMORATE THE GREAT DEEDS / OF A MAN WHO MADE SUCH AN IMPRESSION / UPON AMERICAN SURGERY THAT IT HAS SERVED / TO DIGNIFY AMERICAN MEDICINE / 1897.